Growing up in the 80's our Saturday afternoon's and evenings were filled with classic horror movie lineups like the USA network featuring commander USA or Saturday Nightmares. These shows to us not only provided the ultimate atmosphere but also filled us with creativity that has never left. We feel this feeling we experienced is shared by many but one that is slowly getting lost in the large landscape of today's modern "horror" movies. 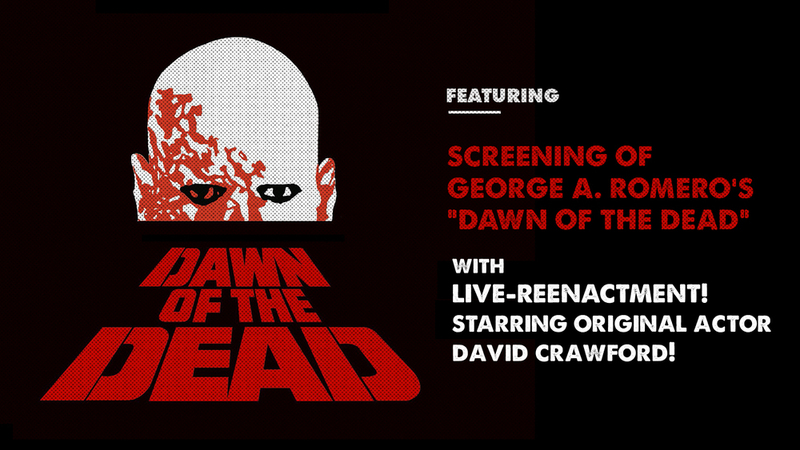 We want to bring back the void of simplicity and pure enjoyment of the art and nostalgia behind classic horror films. While we have created and self-produced 2 classic formula shows in the past we are now redefining what we want to offer, what fans of the genre might be looking for and what we want to bring back to the current landscape of horror events. We are not an autograph show nor are we trying to be another horror convention. We are a meetup event, for horror enthusiasts, a platform for up and coming horror filmmakers, actors, fx artists, makers and vendors of horror memorabilia. We want our fans to come to our events, be inspired, express themselves artistically, watch a feature film, meet up with their friends and simply have a groovie time. Our backdrop is The Landmark Lowe's Theatre in Jersey City, NJ which is of the last Wonder Place theaters in the nation and the largest single theatre in NJ. The building has been saved from demolition and restored by the the generosity of many volunteers and we couldn't think of a better venue to support and host our event. The theatre features marble columns, rich red tapestries, 3,100 seat theatre auditorium and a second level balcony overlooking the grand lobby. Your support means the world to us, through your ticket and vendor table purchases we can make this show happen and hope to have one each year. Please spread the word, bring your friends and family. See you at the show. Pictured on the left: Mike, Joanna and George Romero at SN Show nr. 1. in March 2010. Thank you! Stay tuned for updates and spread the word. ©2015 Saturday Nightmares all rights reserved.